The main difference lies in how straight you hair will be and the end of the procedure. The result of normal rebonding will be completely straight and shiny hair. 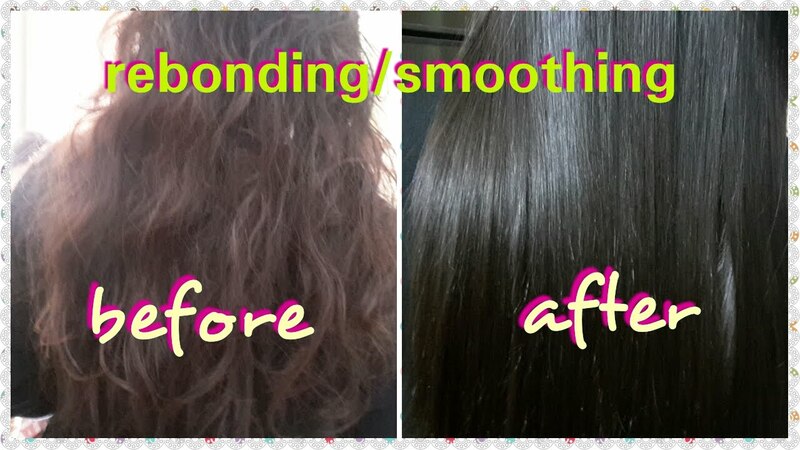 While soft rebonding will retain some of your natural curls and is not as shiny as compared to normally rebonded hair. Both normal and soft rebonding involve the use of a relaxing agent to break down the bonds in our hair. Next, a heated flat iron will be used to straighten out you hair. Then, a neutraliser cream is applied and washed out. After each step is completed, your hair will finally finish with a new straightened and silky look. The main difference lies in extensiveness of the use of a flat iron. For normal rebonding, the flat iron will be used more extensively, as compared to soft rebonding. Sometimes, for soft rebonding, your hairstyle may use a hair dryer as the heat source instead of a flat iron to retain some of your natural curls. Since soft rebonding applies lesser direct heat to your hair in the course of rebonding, the process is less harsh to your hair relative to a normal rebonding job.